Consider a case when you really need to create a form for your website, and so you need to decide which online service would suit you best. Though the reasons for creating an online form were discussed in an article before. Different websites have different USPs, some are suited for the general non programming public. Some are for more advanced users who actually know about the nitty gritty of coding and are willing to go the extra mile for providing awesome service to their customers or visitors. Some Form creation websites are meant for people who don't have the time and can do without the petty details which most people fret about. 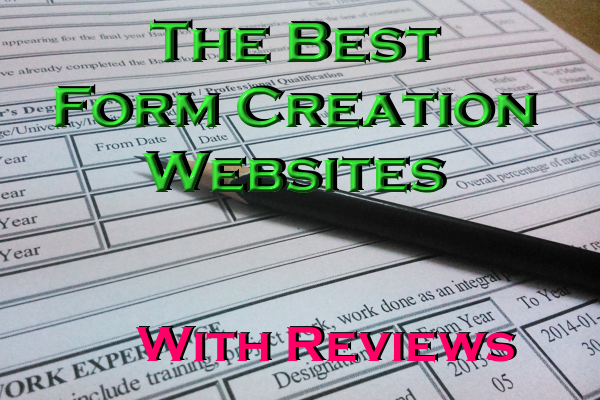 If you think of form creation with the speed of light, You would probably consider jot-form as the best. One visit to jotform would change you perception of form building forever. This is the first time I personally considered buying one of the premium packages that the website offered. The simple drag and drop functions bundled with easy edit and move options, jotform can be the site to look for. Cons- The free subscription offers just 100 submissions in a month. No option of dedicated hosting of form. you must embed the form on your website for it to be functional. The responses are mailed separately but not as a spreadsheet which has found to be useful for most web masters and statisticians. There were speculations however that jotform domain was temporarily shut down once by the US Government. As is evident from businesses around the world, one man's thrash is another man's treasure, The disadvantages in jotforms were completely removed when the developers were creating formsite. Formsite understands that people actually need to use the information that they gained from the forms filled by the visitors. Formsite offers you services that helps you convert the responses into pdf /xls or similar spreadsheets so that you are spared from manual entry into spreadsheets for further processing or record keeping. Wiki entries boast about formsite into the top 5000 websites in terms of daily unique visitors. With more than 500 million form submissions, formsite is one of the most popular form creating destination for developers worldwide. Formstack can be called as just another form creating/maintaining website. Some of its USPs are better control for the information flow by the form creator. The only major con for formstack is its 14 day trial. The website seems hell bent on converting nearly ever visitor into a customer. It is because of such low return on investment (ofcourse the functions wouldn't work afer the trial period. ), codemakit decided to give it a rating of B3. Final verdict, If you are a freebie and want little fucntionalities for your blog/website, you woulnd'nt want formstack. It is for corporates and big players in the internet sphere. Though Wufoo brags about cloud storage as its USP, It is interesting to note that Google drive is the only sensible enough competition for the same. Thus If you want your form data to be automatically stored at cloud storage. You can either use the ever free Google Drive forms or Wufoo. Since both are in the same battle field now, Let us compare them further. The one thing that Wufoo offers apart from the others is that you can personalize the pages to an extent that the form would look like an inhouse creation. With really high PageRank, SERP and an acceptable CWR (see Codemakit Website Research Ratings document) rank, WuFoo has been crowned the best in its class. The following is an analysis for the eight Form Creation Websites from codemakit Website Research. 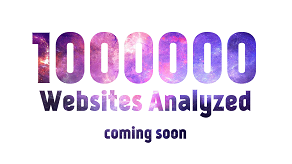 Four different Rating Systems were employed for determining the overall worth of each Website; Webutation, known for providing users with the actual reputation of a website analysed by it. Page Rank, as you might know is one of Google's most overused methods of determining which page should be ranked first. 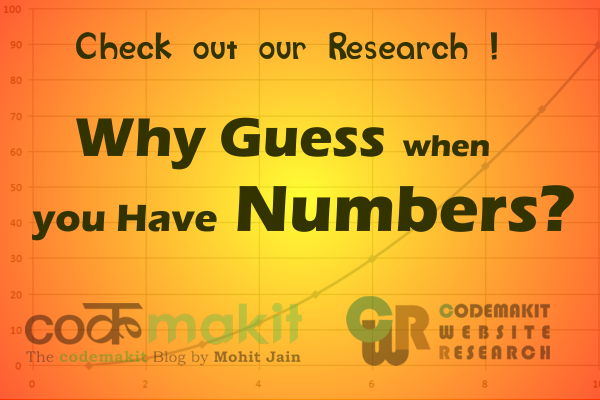 The Third CWR rating is Codemakit's way of analyzing websites based on several patterns (You should first read the CWR Document about how codemakit analyses websites), Website Planet also works towards finding the importance of a website. Wind Rose diagram for Form Creation Websites is shown below. Rockforms however was given a 40% rating by Webutation and so it comes at the end of our list.